This article is from the newspaper especially printed for the 1930 dedication of the new bandshell in City Square Park in Fort Dodge. This photograph (1905?) shows the 56th Regiment Band in front of the Fort Dodge Armory. Director Carl Quist is on the left holding his Eb Clarinet. Joe Kautzky is the flute player immediately to the left of the bass drum. 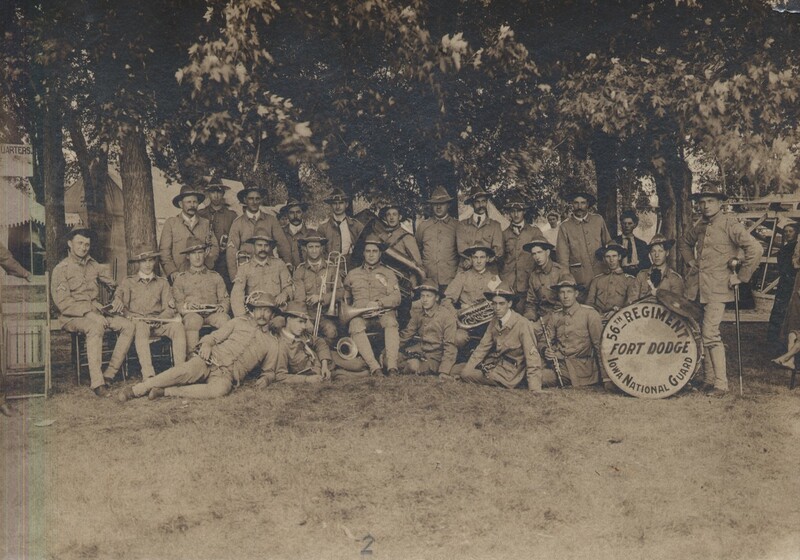 M. P. McDermott, who ran the cigar store, is the cornet player near the front. 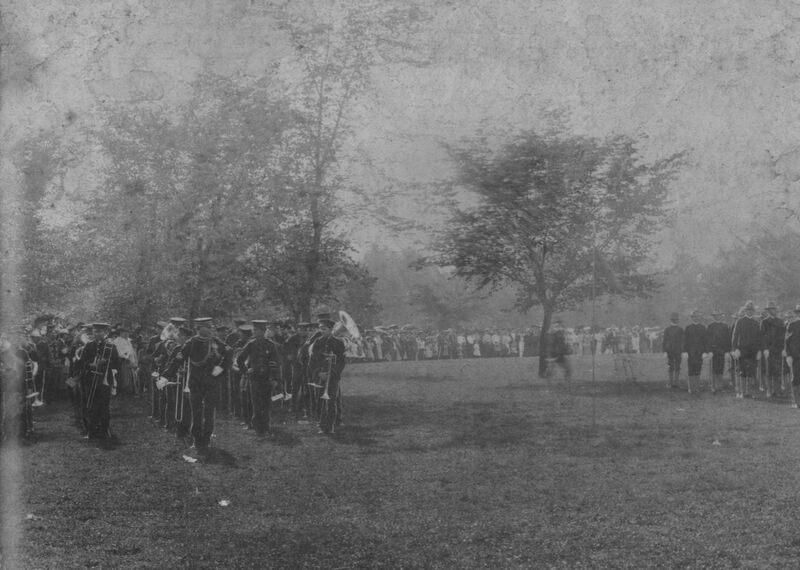 By 1905 donations from local businessmen allowed weekly concerts along Central Avenue. There was not yet a bandstand, so each week the concerts were on different street corners. 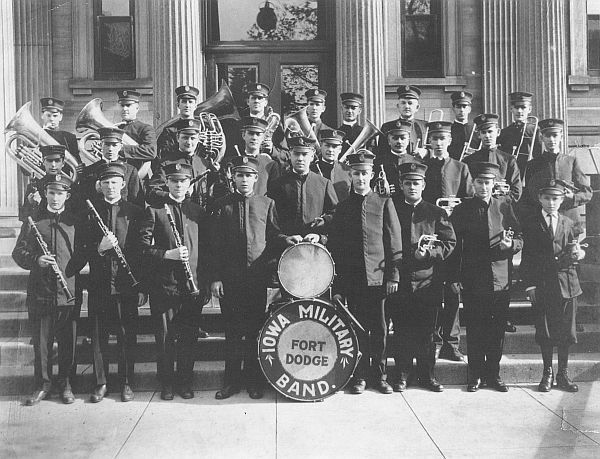 Under the leadership of Carl Quist, the band continued to make a name for itself in northwest Iowa and even throughout the Midwest from their association as the band of the Modern Woodman of America, traveling to Indianapolis, Milwaukee, and Detroit. 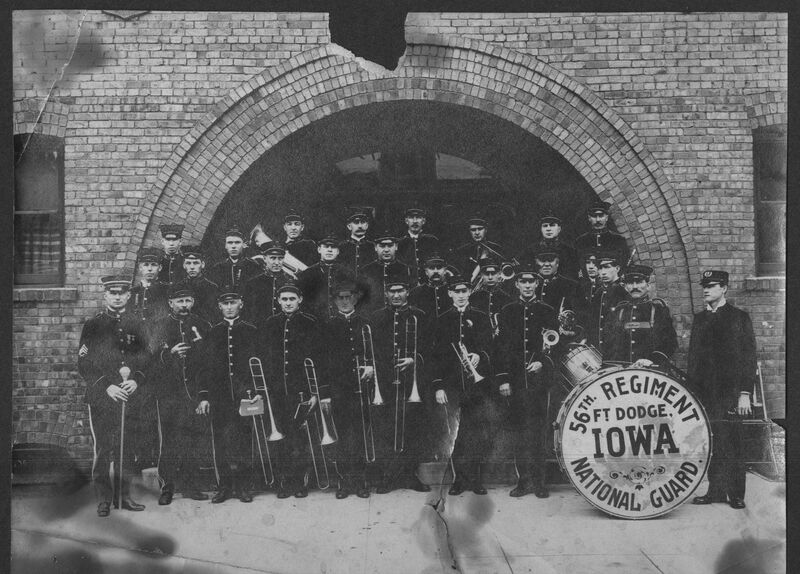 Here the band is shown in front of the National Guard Armory in 1908 before their departure for a national contest which they won in Milwaukee, Wisconsin. Carl Quist is in the center of the second row. The drum major at left is Art Kruckman, who owned and managed Kruckman's wholesale tobacco store and restaurant at 710 Central Avenue in Fort Dodge. Director Carl Quist is in the center of the back row. In 1908 the band was well received in Calgary, Alberta, Canada at the Dominion Exhibition Fair. 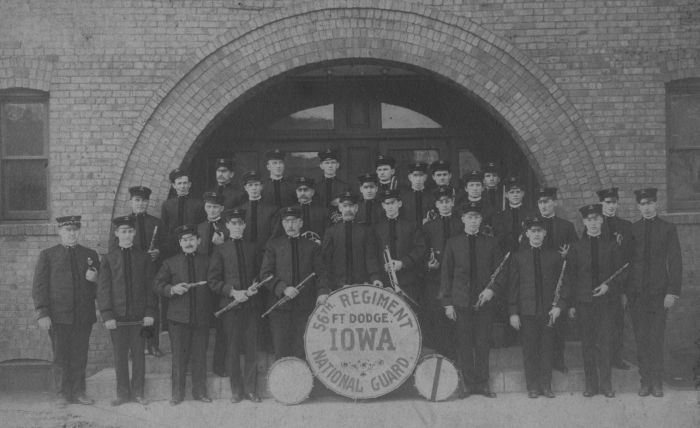 The name of the band was changed to the Iowa Military Band in 1911 when they were mustered out of service in the Iowa National Guard. 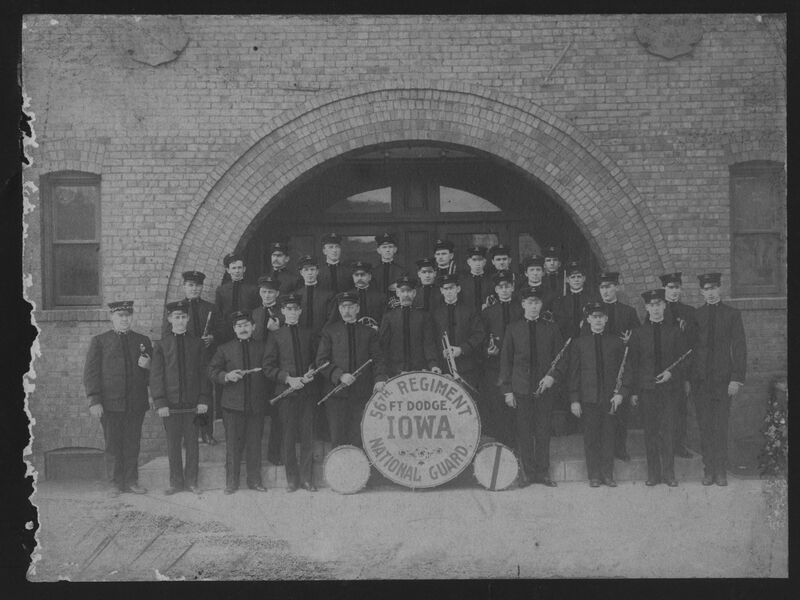 1911 photo of the Iowa Military Band Carl Quist is in the center behind the drums. Charles Grant is seen in front of the doors in the back row, and to the left is Oden Johnson holding the helicon tuba. Notice the young trumpet player at front right.